Integratore alimentare per i dolori articolari e muscolari - ESI S.p.A. This is Glucosamine, Chondroitin, MSM, Manganese, Devil's Claw and Aloe Barbadensis based dietary supplement. 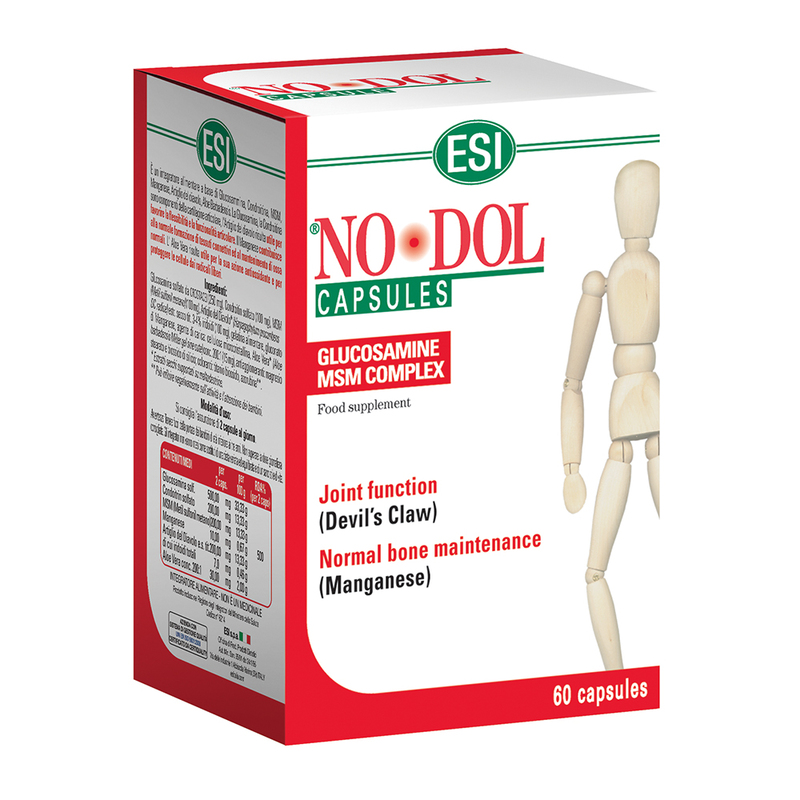 Glucosamine and Chondroitin Sulfate are articular cartilage components, Devil's claw promotes joint function. Manganese contributes to normal connective tissue formation and helps keep bones healthy. Take 2 capsules daily with plenty of water. Warnings: Keep out of the reach of children three years of age or under. Do not exceed the daily recommended dosage. Supplements should not be considered a substitute for a balanced diet and a healthy lifestyle.